Decor – It Works For Bobbi! I was looking for a new cute little print to add to our main guest bathroom and I couldn’t find one I liked. I wanted something a little clever and perfect for a bathroom that would make someone chuckle who read it. I finally found a cute quote I liked, and I decided to create a chalkboard-style printable that would fit with our decor. This printable would also be so cute in a bedroom, wouldn’t it? Feel free to download one for yourself! As with all my printables, these are free for personal use only. Be cool and don’t try to sell or pass it off as your own design. Thanks, friends! 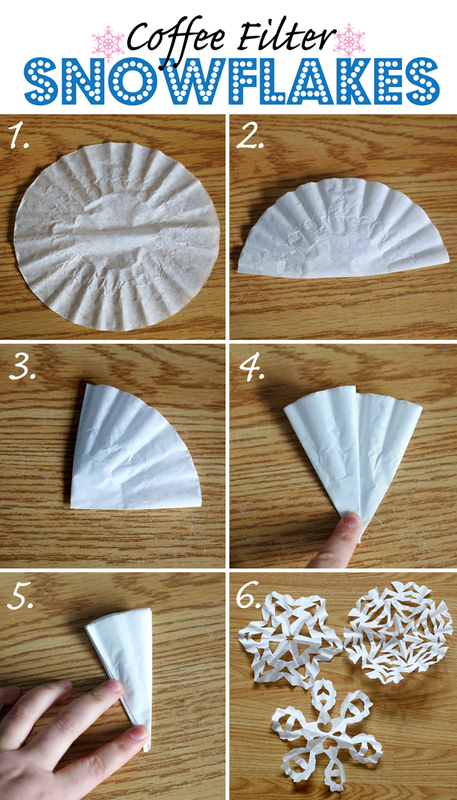 Best and EASIEST Paper Snowflakes EVER! 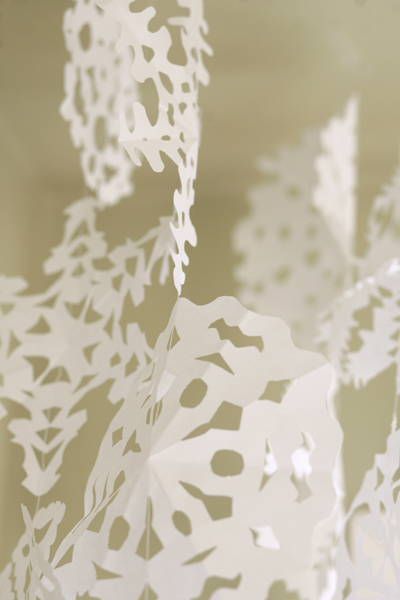 It has long been a tradition in our family to spend an evening making paper snowflakes together – to decorate the house for the winter. While it is fun, it often ends in frustration because the kids get confused about how to fold the paper, cutting it into the right shape, and not being able to get their scissors through all of the layers. Truth be told, I often end up doing most of it myself. THAT CHANGES THIS YEAR! 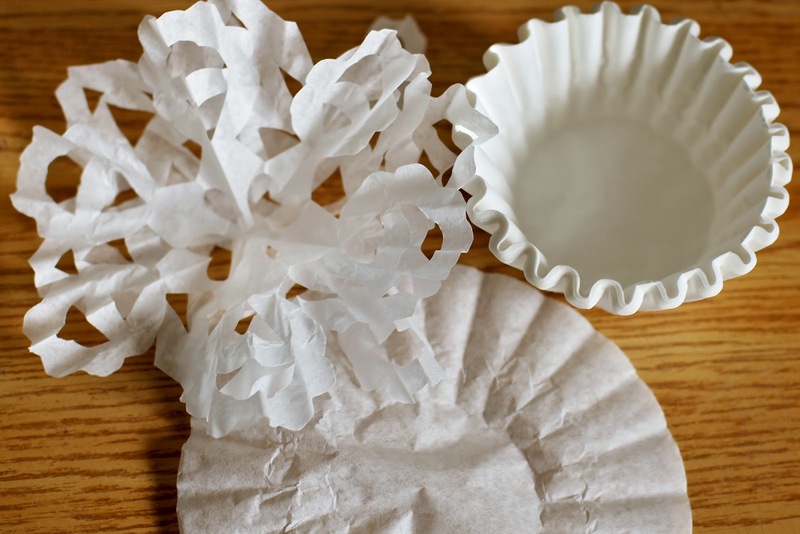 Thanks to Pinterest, I will forever be making my paper snowflakes this way…with coffee filters! 4. Once finished, they have a very “fluttery” look about them, which is gorgeous! 5. Easy to fold and get started, no prep work at all. Stitch them together in a line, then hang from the ceiling. You could also hand them like a banner as well. Have fun! I love Autumn, and one of the reasons is…THANKSGIVING! In Canada, we celebrate in October so we get to fill up on turkey even earlier! Today I’m sharing just a few of my favorite FALL finds with you. I hope they inspire you as much as they have me! Our Best Bites shares some absolutely ADORABLE Oreo Turkeys. It’s *almost* a shame to eat them! How about something fun for little fingers to do while waiting for dinner? Check out these free printable placemats from Tomkat Studio! 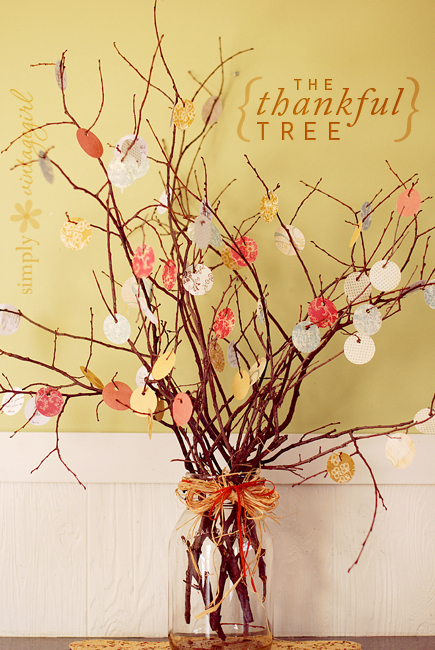 Simply Vintagegirl has the right idea with a gorgeous (and purposeful) THANKFUL TREE! Have everyone write something they are thankful for on each little tag. I love this idea. You could also use the same idea for a Christmas advent calendar! Have you seen this idea around? Dip colorful leaves in wax to preserve the color! 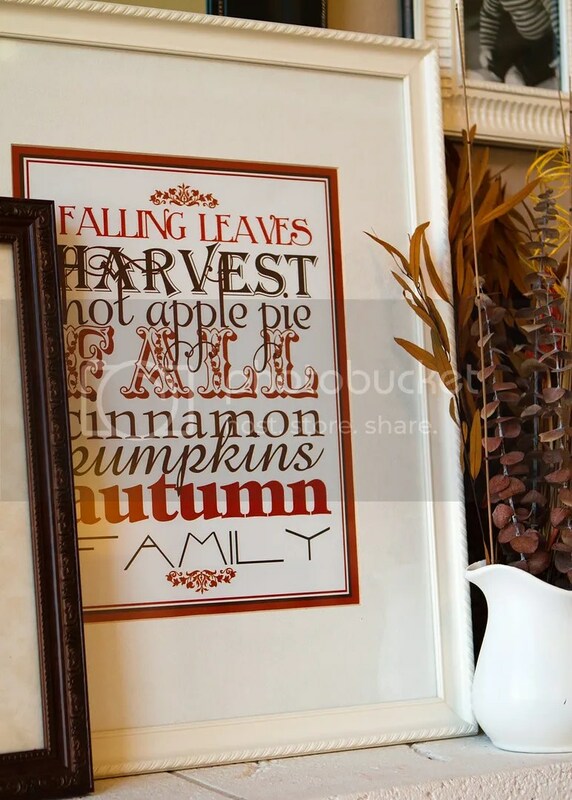 This can be used in SO many ways for Autumn and Thanksgiving decorating. My husband LOVES Trifle, so he would go nuts for this Pumpkin Gingerbread variety! What a great twist on the traditional pumpkin dessert. And, of course, I love me some word art. This amazing Autumn Subway Art is a free download from Hopscotch Studios. LOVE! I hope this inspires you, and a happy Thanksgiving weekend to my fellow Canadians!